Given the events of the past few weeks concerning the separation of families by ICE, I decided to jot down a few thoughts, in lieu of my plan to write a review this week of a wonderful novel I read recently: Split Rock by Holly Hotter Eger. What has amazed me about the incidents is the reaction of people from almost every segment of our society to the separations. Especially at a time when we Americans can’t seem to agree on anything. While there were some dissenting voices, the public overwhelmingly called for the practice to stop. What is particularly striking is the fact that 150 years ago the same issue brought Northerners together on the issue of slavery. The catalyst? A book titled ‘Uncle Tom’s Cabin’ by Harriet Beecher Stowe. Most people have heard of it but not everyone has read it. More than any other aspect of the story, the separation of families that occurred when family members were sold at auction resonated with the public. 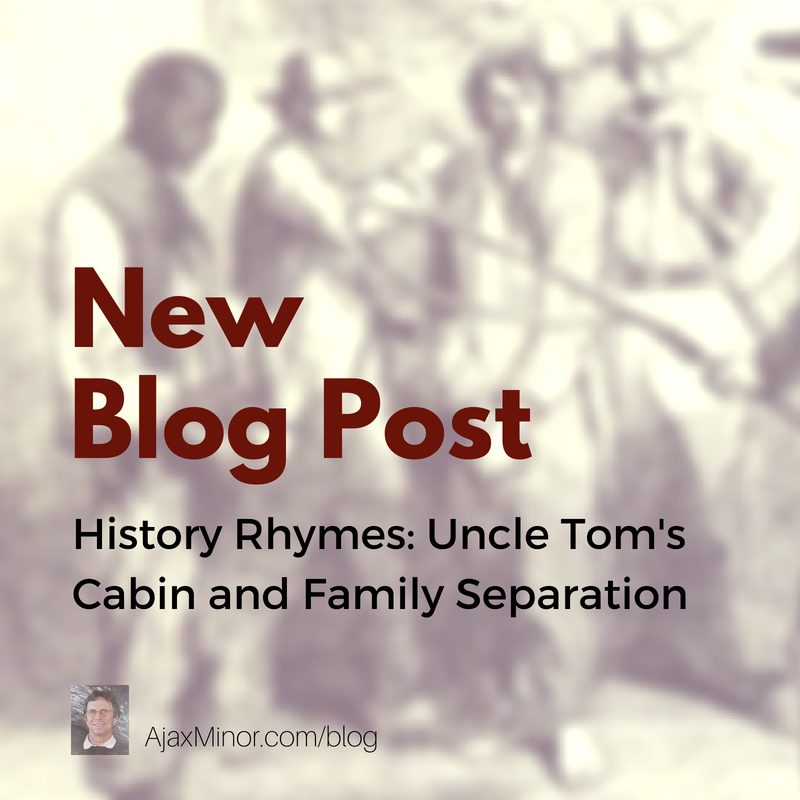 Following is a link to a synopsis of Uncle Toms Cabin. Of all issues why would this one affect people of all political persuasions? I really do not know but am thankful that it has. And I believe we can all be proud of that fact. So ponder the question and ask if there aren’t more things we can agree on. And take a minute to reread a Blog post from a few weeks ago that delved into other issues raised by the book. And if you haven’t read Uncle Tom’s Cabin, DO IT!